Date: Saturday, 20th October 1990. 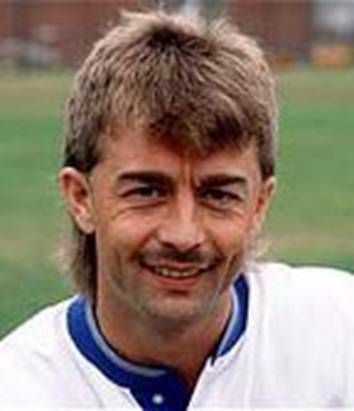 Scorers: Leeds United: Whyte, Chapman. 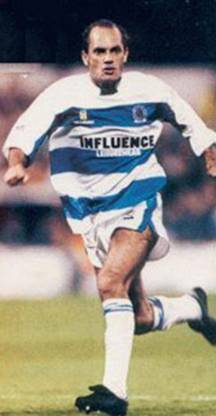 Queens Park Rangers: Wilkins, Wegerle (2). 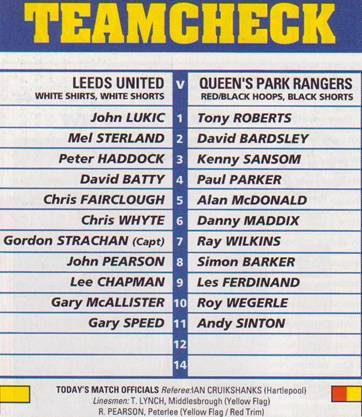 Leeds United: Lukic; Sterland, G. Snodin; Batty, Fairclough, Whyte; Strachan, Pearson (Shutt), Chapman, McAllister (Kamara), Speed. 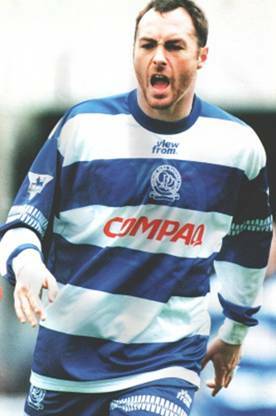 Queens Park Rangers: Stejskal; Bardsley, Sansom; Parker, McDonald, Maddix; Wilkins, Barker, Ferdinand (Falco), Wegerle, Sinton. 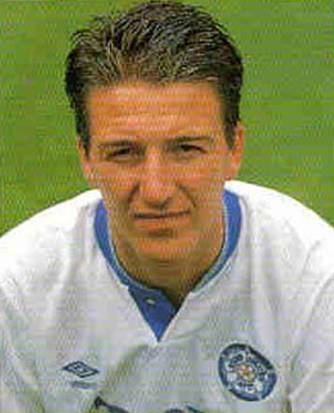 Referee: Mr I. Cruikshank (Hartlepool). 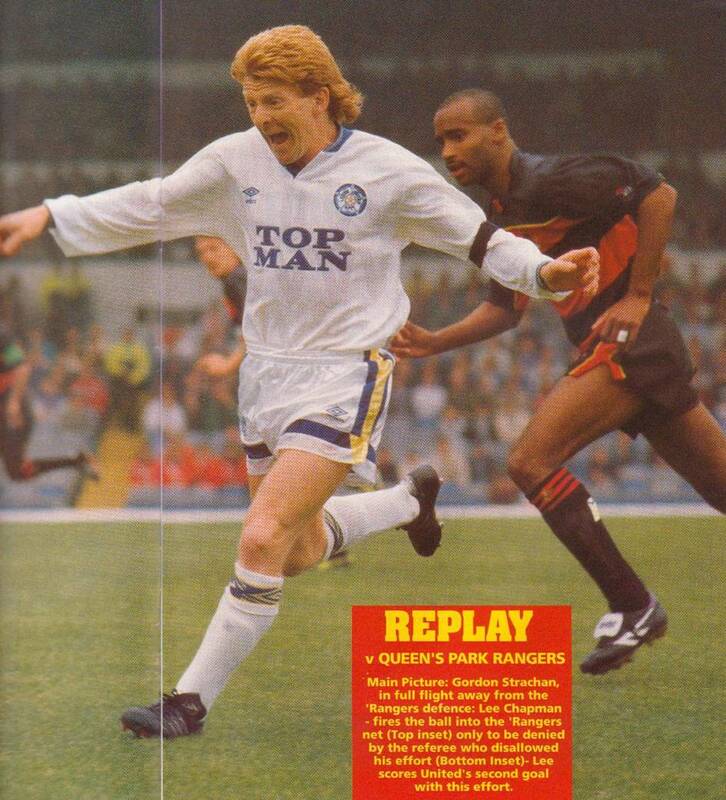 Over the years Queens Park Rangers have managed on a number of occasions to be quite a thorn in the side of Leeds United. The meeting of the two teams in October 1990 proved to be one of those occasions. 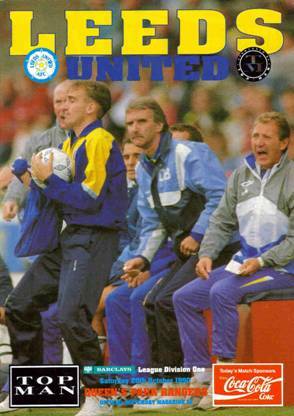 Howard Wilkinson’s men were striving hard to establish themselves back in the top flight after eight years in the wilderness of Division Two, and were acquitting themselves quite well. Only two defeats in their first eight games was a satisfying enough start and considering the calibre of the opposition already vanquished they were looking to enhance their reputation with a victory over Rangers. A two goal lead established in the opening seventeen minutes ought really to have been sufficient for the foundation for another home success. 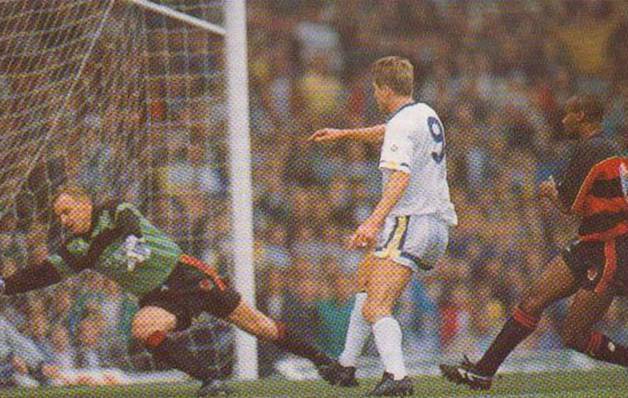 Everything looked to be going United’s way when Lee Chapman scored his side’s second goal following an excellent piece of play on the right by Gordon Strachan, who had dispossessed Kenny Sansom to race away and get in a hard low cross along the six yard line. 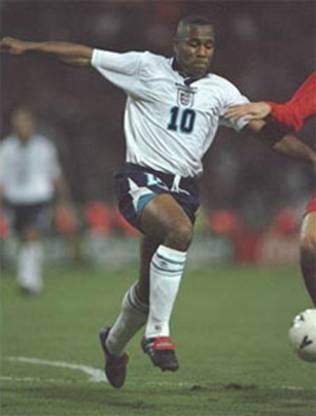 Chris Whyte had already beaten Czech goalkeeper Jan Stejskal by lobbing a neat shot over his head in the fifteenth minute after John Pearson, assisted by a static defence, had helped on a lofted free-kick from Glynn Snodin. Yet United could not hold their advantage, and when Chris Whyte slipped on the wet surface, Rangers full-back David Bardsley took full advantage to nip in and supply a neat shooting chance for Ray ‘slaphead’ Wilkins, which he gratefully and skillfully accepted. 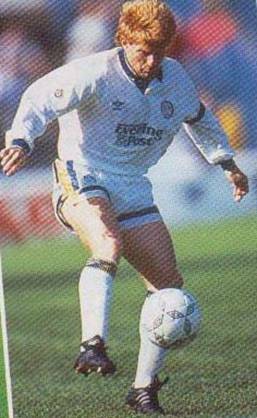 Worse was to follow for United when Roy Wegerle brought the scores level with an audacious goal, one of the best seen at Elland Road, scored after he had beaten five would-be tacklers, Glynn Snodin, David Batty, Gary McAllister, John Pearson and Chris Fairclough. 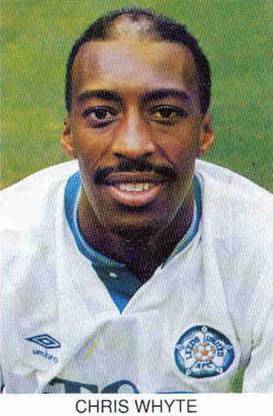 United’s disappointment intensified after the break when the normally reliable Gordon Strachan struck a penalty, awarded for a Danny Maddix foul on Lee Chapman, against the cross-bar. 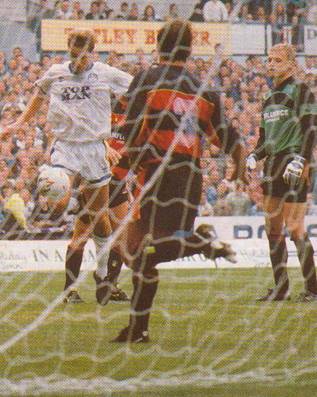 It was only his second failure in twelve spot-kicks, but it proved more costly when Rangers grabbed the winner ten minutes from the end through Roy Wegerle, who hammered home a fourteen yard shot after Wilkins had picked him out with a fine pass. United had been unlucky at times in this game but in the final analysis they had to accept that they had only themselves to blame for the defeat. “The truth is that we are sometimes a soft touch. There is rarely any room for comfort or complacency in the top Division and this is something we have to learn. Our problem is that when we lose the ball our opponents counter-attack too easily.” United manager Wilkinson said.